Six months after its unmanned spacecraft exploded shortly after liftoff, SpaceX is once again taking to the sky. Elon Musk's space exploration company is set to launch a spacecraft on Monday just after 8:30 pm ET at Cape Canaveral Air Force Station, Florida. It could mark a comeback for the Tesla (TSLA) CEO and his team at SpaceX. They've carried out more than 20 successful (unmanned) space missions since 2006. But SpaceX launches have been on hiatus since June. That's when its resupply mission to the International Space Station ended in a fiery eruption and the loss of two tons of NASA cargo. 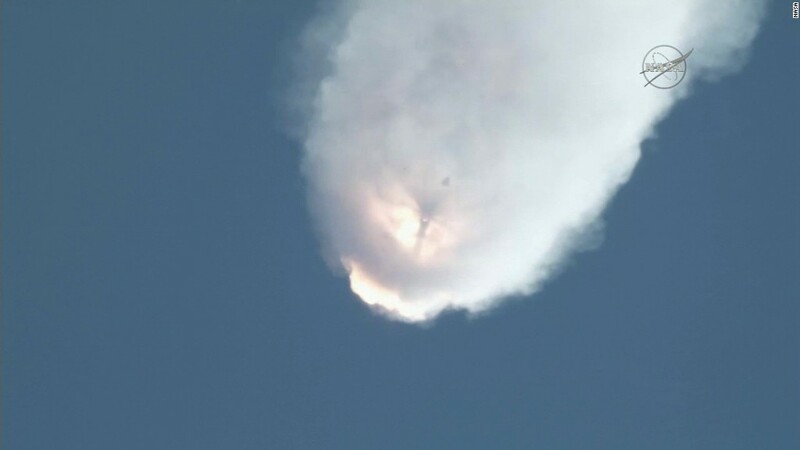 Musk later said a weak strut in its Falcon 9 rocket caused the failure. The same model of rocket will be used for Monday's planned mission. The upcoming launch will also mark SpaceX's fourth attempt to safely land the rocket, which detaches from the spaceship after liftoff. Mastering that feat would allow rockets to be reused and likely make space travel far cheaper. Blue Origin, a rival venture headed by Amazon's Jeff Bezos, successfully landed a rocket after a launch on November 24. It sparked an intense Twitter (TWTR) exchange between the CEOs. Monday's launch was initially scheduled to take place over the weekend but it was held up by weather and other delays. The SpaceX rocket will carry 11 satellites into orbit for Orbcomm's (ORBC) "OG2" network. Orbcomm's satellite network allows wireless and non-wireless devices to communicate. That allows businesses to "track, monitor and control" everything from trains to construction equipment. It has more than 1.3 million subscribers, including transportation companies and retailers like Walmart (WAL-M) and Target (TAIEX), according to the company. A webcast of the SpaceX launch will be available on the company's website.